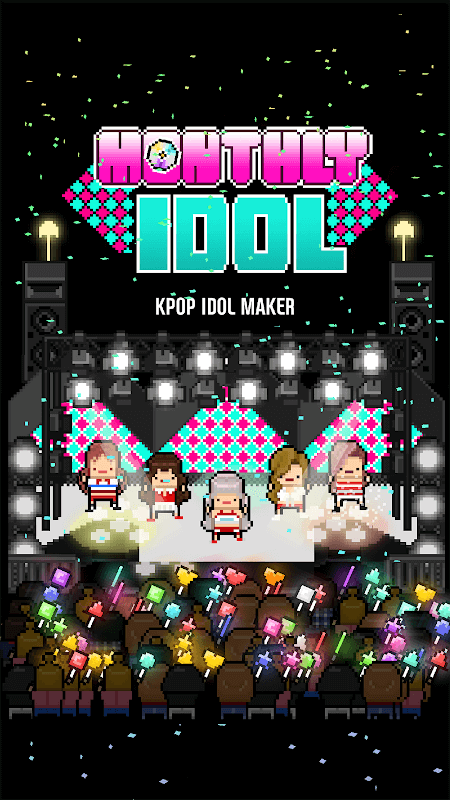 Monthly Idol – Number game on App stores is growing fast day by day. Each set features a unique way to attract the most players. One of them is a strategy game. Surely you will know the game titles such as Clash of Clan, Clash Royal, … In these games, you will build your own empire to go fight with other players to earn more resources. 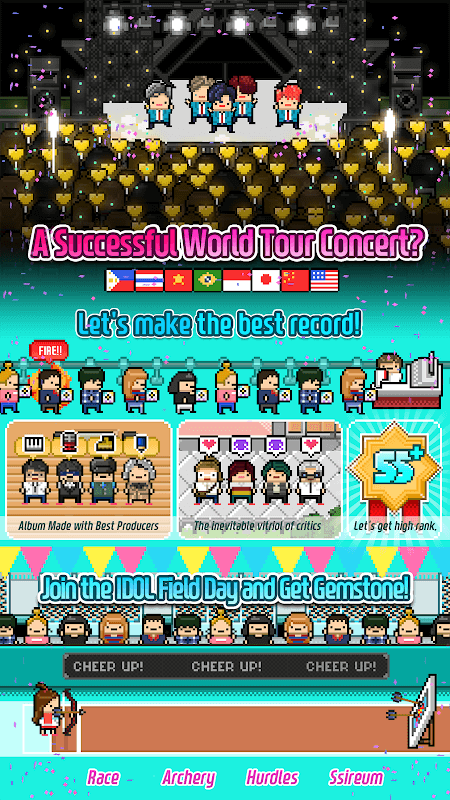 If you want to find a new type of game, still the same kind of game but gentle, please join us to the game Monthly Idol. First of all, there are many companies in the world that make famous idols. And you will play the role of a director of a company that manages and promotes your idol from which to turn your company into a world-class brand. 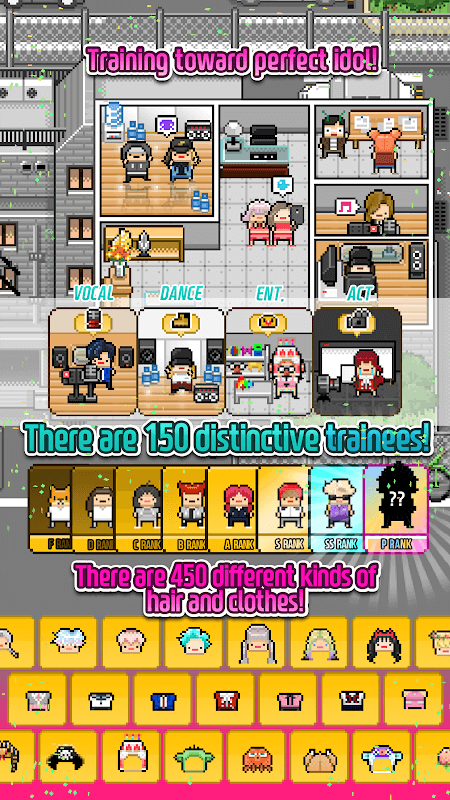 Just starting the game, you will set up a private company with only one girl or a group. Their contract will be five years and then depending on the circumstances; you can extend further. You will let the girl or group manage to produce a recording. Like the music market, if the song is released or the sales will be good. And in this game too, if the recording is well received, the money you earn will not be small. You can enhance the album sales so that there are funds to increase the company’s credibility. And then rely on celebrity to recruit more idols into his company. The more people you have, the better it will be. But that means you have a financial crisis, and you will get into trouble because you have to pay for many other idols. So the game requires a level of management and strategic thinking to make the right decisions in the proper context. In addition to selling the album, you can think of doing a concert around the world to attract more fans and above all increase the revenue from ticket sales in order to have a “strike” in the world, in the short term to build a stable company regarding sales and taxes. 2019 Golden Pig Event start! Secondly, the game was rated highly on the app store and received over half a million installs. Besides, according to the players, the game is exciting and has reasonably high entertaining. And because the game does not require an Internet connection, people can play it anywhere or at any time. I can say that you will adapt quickly to the pace of the game and will have an exciting experience with this game. With realistic and tactical content in gameplay, the game can give you a great time playing the game and help you kill time in some situations. 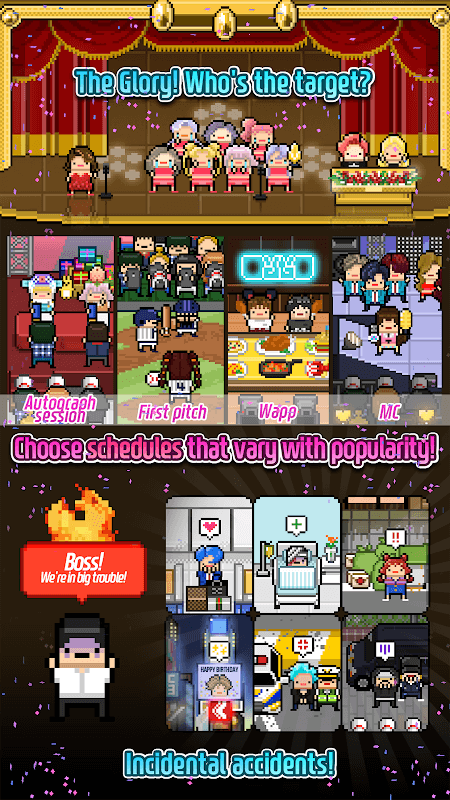 Install and experience a world of hilarious and grungy Idol where you’ll shine or be happy?